PEORIA, Ariz. – He knows the question is coming because at some point it has to be asked. “The name?” Burt Reynolds asks. Yes, the name. It has to be asked. Because thus far, there is little known about Burt Reynolds the baseball player, who finds himself part of the Seattle Mariners spring training camp. He’s spent the last three seasons playing in independent leagues on the East Coast after getting released by the Tampa Bay Rays organization. 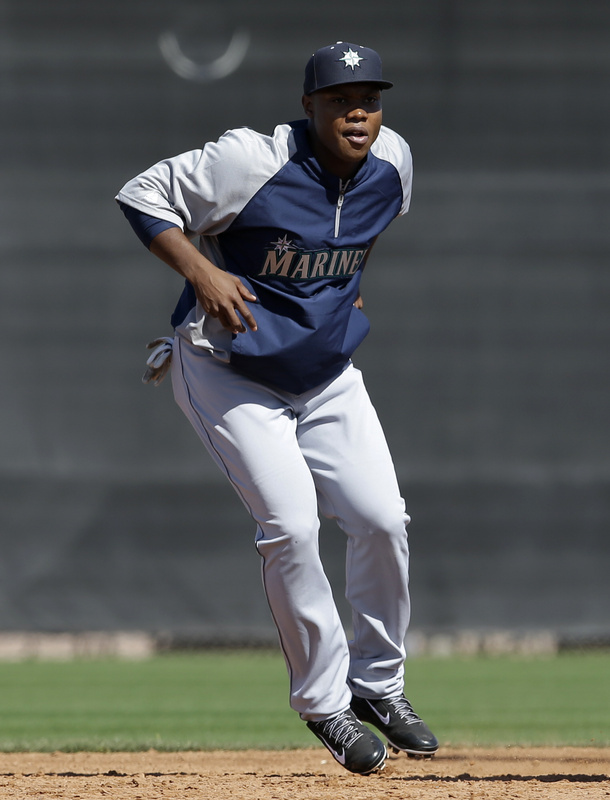 He’s a 25-year-old outfielder who has never played above class Single-A, yet he’s with the Mariners and with a locker at the end of the clubhouse right next to $240 million star Robinson Cano. It just happens that Reynolds is Cano’s cousin, and the Mariners’ biggest offseason investment wanted his cousin to get another shot at impressing a major league club. For his part, Reynolds is truly thankful for the opportunity that he’s getting because of his ties to Cano, whom he considers a big brother. He was signed by the Mariners this past December shortly after Cano finalized his 10-year contract to leave New York and make a new home in the Pacific Northwest. Reynolds’ best season in pro ball was his first while playing for rookie league Princeton in 2008. He hit .289 with six homers and 36 RBIs that season, but his career never took off. So he understands why his name raises eyebrows when someone notices it on Seattle’s spring roster. Reynolds said it was his dad’s decision to name him after the famous actor. It was difficult as a child having a famous name, but Reynolds has become more comfortable as he’s gotten older to where he can now chuckle at odd exchanges in the past. Like when he was on a flight to Florida and the captain of the plane decided to announce that “Burt Reynolds is aboard today.” Reynolds had to kindly inform the crew that they were slightly mistaken on which Burt Reynolds was aboard.